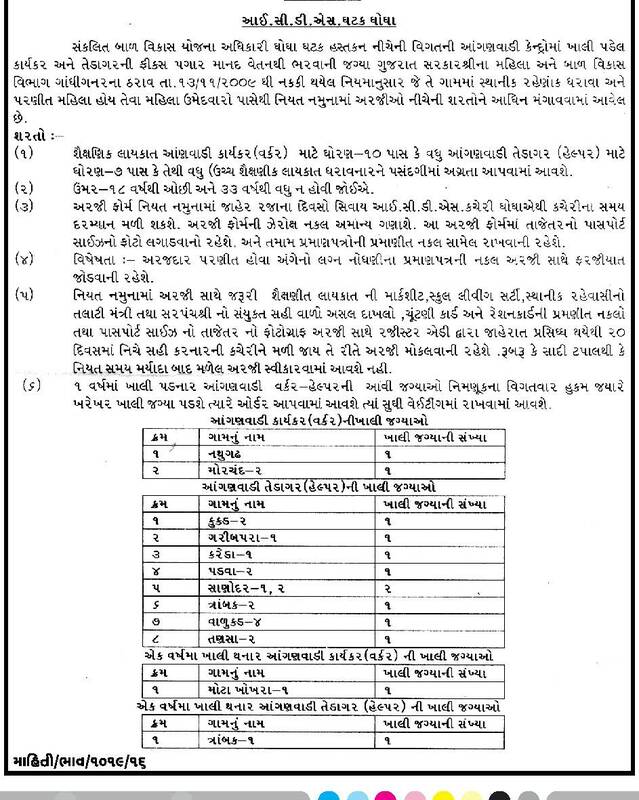 Integrated Child Development Scheme (ICDS), Ghogha published notification for recruitment for below mention posts. How to Apply: Interested & Eligible candidates can apply & send their application on prescribe format (format meet at ICDS office) & attested copies of all necessary certificates like, marriage certificate, local residential proof, cast certificate, rasan card, water id, qualification etc., to given below address by Register post AD. Send your application to given address: General Record office , Khanderav market , Rajmahal Road , , Vadodara. Last date for receipt of application:Before 20 Days Of Advertisement Published .